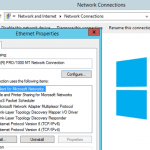 In this article we are going to show you how to set up a static IP address in Windows 10. If you are successfully on a network and have got dynamic IP address, you may want to make the IP address static. The first thing you need to do is to right click on the Start button and go to Run. 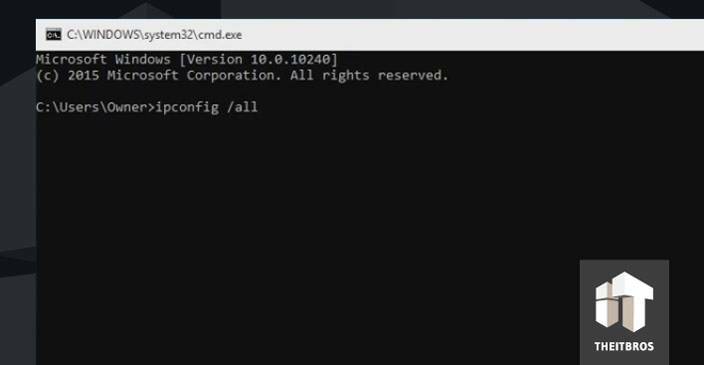 In the Run window you should type cmd and click Ok. After that you will get your command window, where you have to enter ipconfig /all command and press Enter. That’s going to give you a whole bunch of information, which you may need to scroll up until you will find Ethernet0 adapter. Here we have IPv4 Address (this time it’s 192.168.0.15) and it’s dynamic. Now we want to make the IP address static. We need to use the information from command prompt to do this. So let’s go ahead. At first we need to open up Network connections by right clicking on the Start button. Find the internet connection that you are going to modify. Right click on that connection and go to Properties. 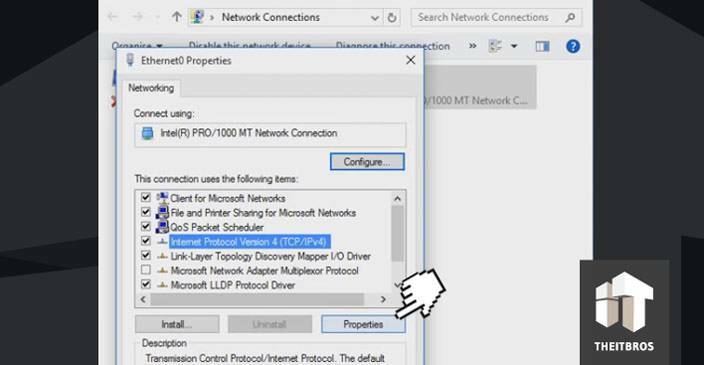 Now, look for Internet Protocol Version 4 (TCP/IPv4) and click on its Properties. 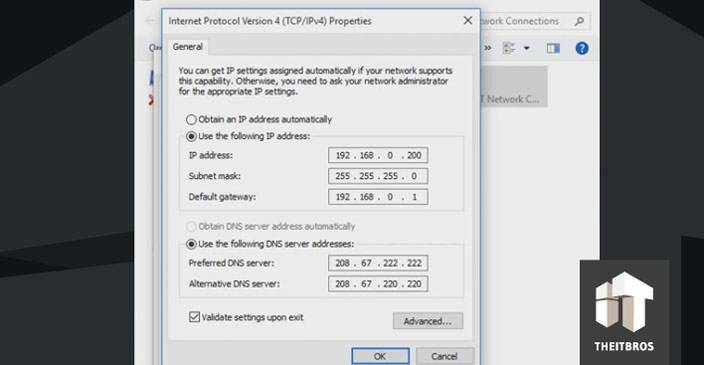 This will give you IP version 4 properties window and this is where we are going to put in our specific IP address. So, let’s click Use the following IP address, which automatically makes active Use the following DNS server addresses. Currently our IP address is 192.168.0.15, but we are going to use our static IP address 192.168.0.200, so we need just to put this IP address in the first section. When we click on Subnet mask that gets filled in automatically for us. 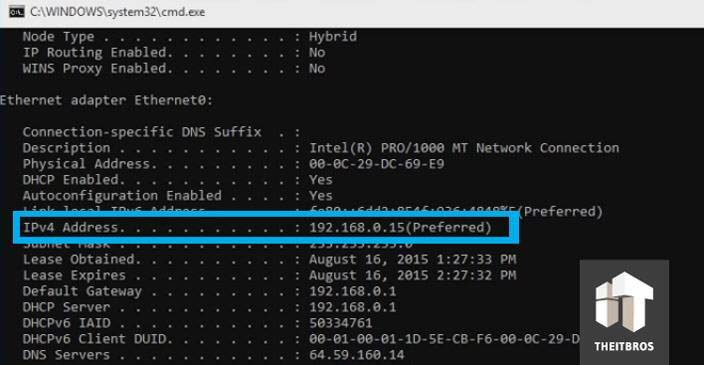 Now, we need to enter our Default gateway, so look over your command prompt. It tells us exactly what that is – 192.168.0.1. The same situation with DNS servers, but you also can use OpenDNS. Just go to their website and find out about them if you want. Otherwise, you can use the existing DNS servers. After that, click Ok and then click Close. It’s going to do some authentication things, detecting if there are any problems. Finally, it said that it couldn’t identify the problem. Go ahead and close that. Now we can confirm that we are still online by jumping into browser and going to the random web page. That’s it. We hope you found this useful, but if you have any questions, just leave them in the comments section below.